Are we disrespecting the rest of the world? Two states remain on my nerves. Now that's what I call zoom. Anyone up for some pulled pork? There will be dancing on campus? 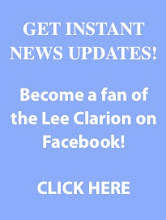 You can now get Lee alerts on Twitter! We're goin' to Lee and we're gonna get married! The Washington Redskins emerged victorious last Friday after acquiring free agency's greatest prize in ex-Tennessee Titans star, Albert Haynesworth. The defensive specialist had been riding the fence for months concerning his football future. Even during a memorable 13-3 regular season run in 2008, and carrying the franchise tag (a honor given to the face of the team), Haynesworth struggled to keep trade talks from becoming a distraction. The contract at play called for $100 million over seven years, with $41 million guaranteed. In addition to Haynesworth, the Redskins reeled in ex-Oakland Raider DeAngelo Hall to a more modest six-year deal guaranteeing $22.5 million. With the deal official, several National Football League analysts and fans alike have debated whether Haynesworth deserved the contract extended to him. Many felt Haynesworth's value failed to equate to the sum he was asking for, thus providing a financial favor for the Titans, while others feel the Titans will regret matching the offer. "The Titans never even made a market value offer," said Mike Rizzo of North Jersey, N.J.
"There were a half dozen teams willing to pay our biggest free agent what we weren't willing to pay...[the] Titans had the third money under the cap - way more than Washington. I say [that's] pathetic and he should have taken the money elsewhere." Although the Titans were adamant in retaining an intimidating defense, the team believed they would not only risk losing multiple key players for the sake of one, but the money spent would put a cap on signing other free agents and draft picks down the road. "I think he was one of the best free agents on the market, but that kind of money, especially with the economy struggling the way it is, just seems absurd," said Lee University senior Ben Pressley. Still others will miss the 6'6", 320 pound defensive end, despite the headaches he created for front office management. "I am deeply saddened by losing Haynesworth because he...made the defense the dominating unit that it was," said Michael Branch of Phoenix, Arizona. "I am not by any means diminishing anyone else on the defense because it is a terrific unit, but when Haynesworth didn't play, there was a huge difference in the defense." "Haynesworth was the heart and soul of our defensive line. Letting a player like that go will take years to recover from," said Lee University freshman Daniel Diffenderfer. "A hundred million dollars is too much money to give him, but he'll definitely be missed." Haynesworth will now anchor a much improved defensive unit for the Redskins, leaving the Titans with a gaping hole in the middle. However, one must ask himself which team won in the future department.